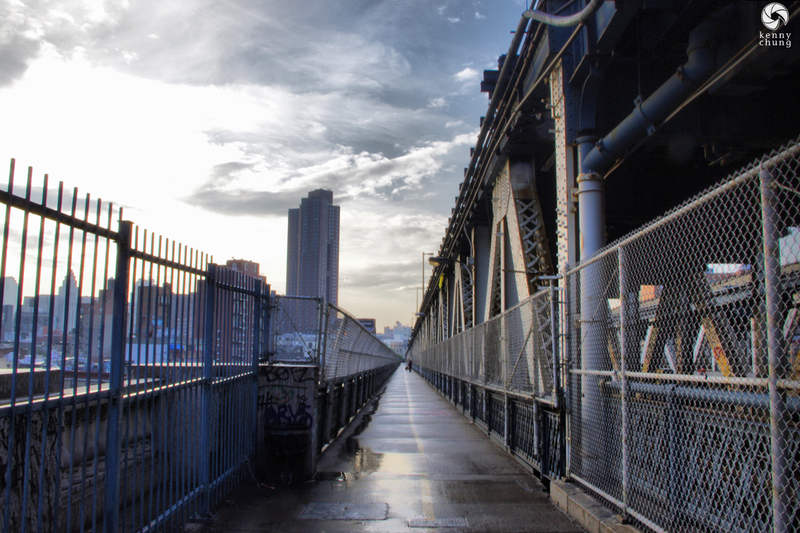 After the false rapture of May 21, 2011, I decided to walk across the Manhattan Bridge after the flash thunderstorm. It turned out to be a wonderful day free of judgment and ascending bodies. 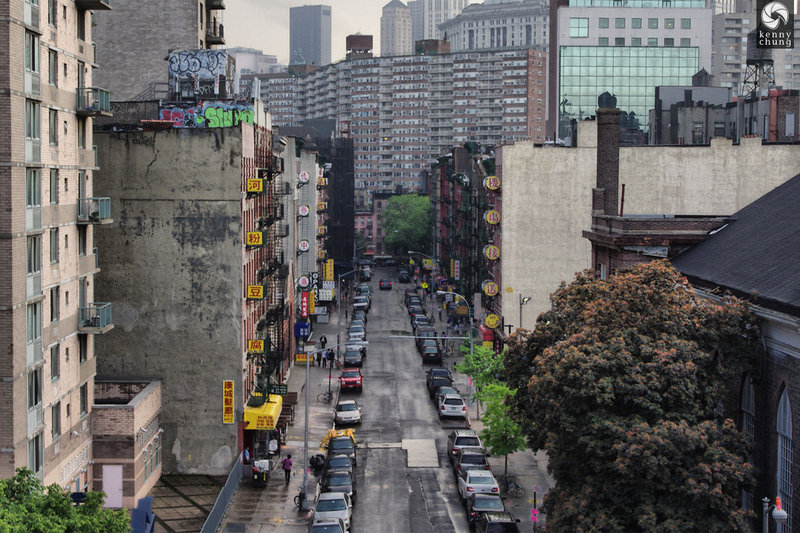 A view of Chinatown from the Manhattan Bridge after the storm. 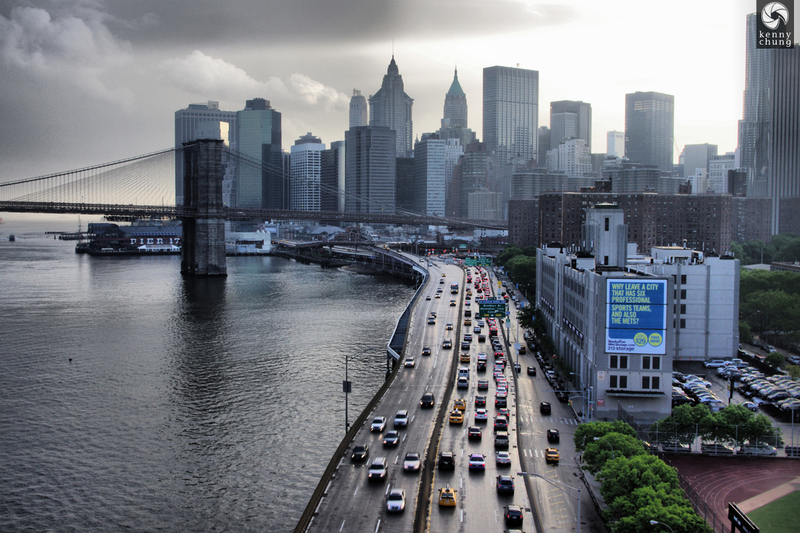 A view of lower Manhattan from the Bridge. Near the Manhattan side entrance of the Bridge Pedestrian Walkway and Bike path. An emergency call box on the Manhattan Bridge. 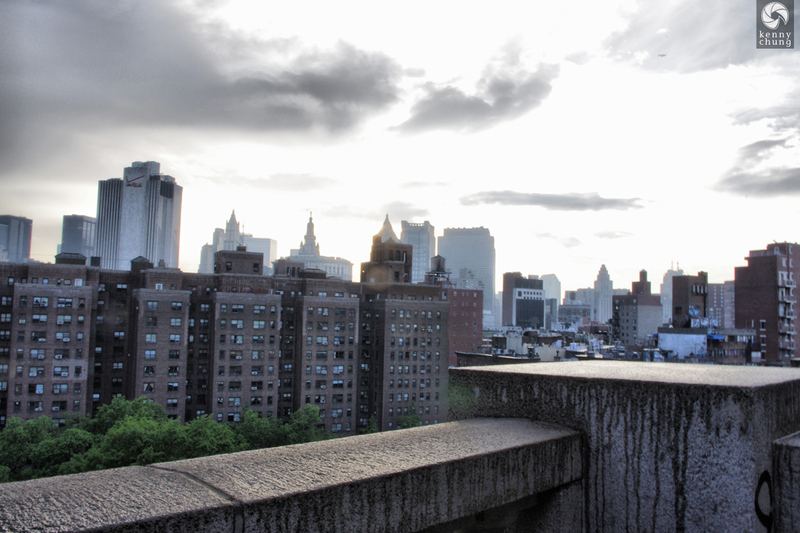 A view of the Brooklyn Bridge and the FDR Drive. The billboard says, "Why leave a city that has six professional sports teams, and also the Mets?" 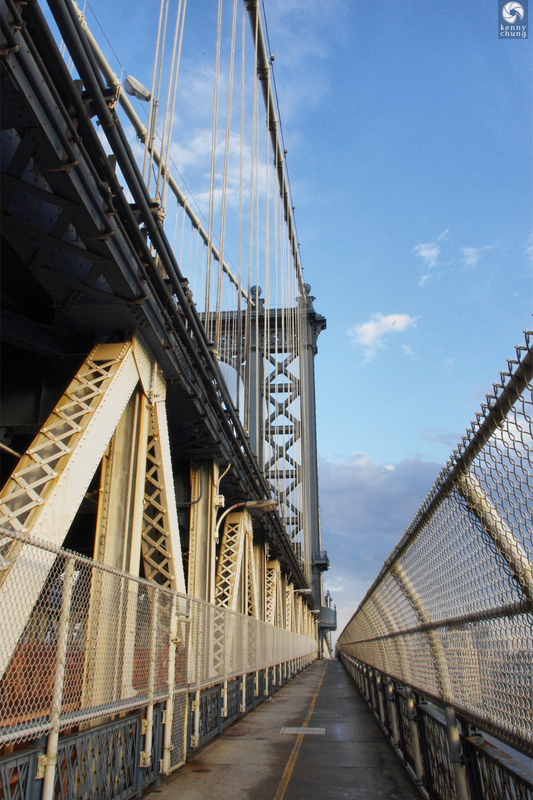 More detail of the Manhattan Bridge walkway and framework. 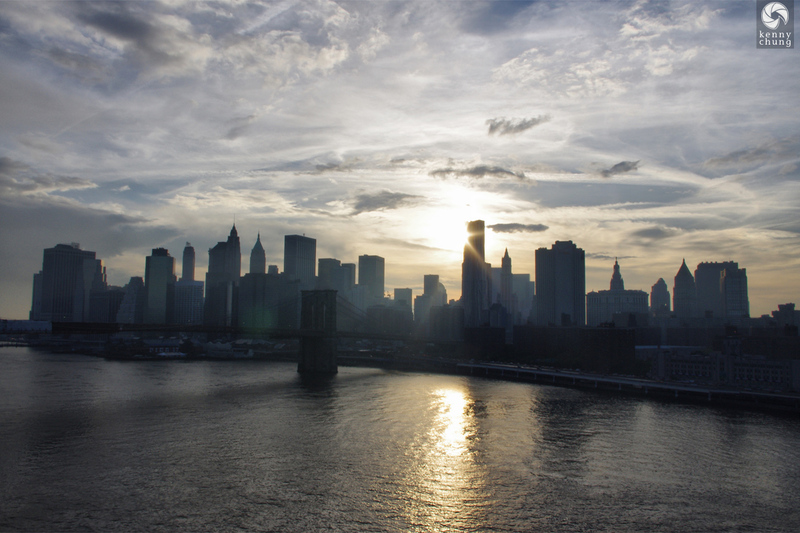 The sun setting on the Brooklyn Bridge and on Lower Manhattan. 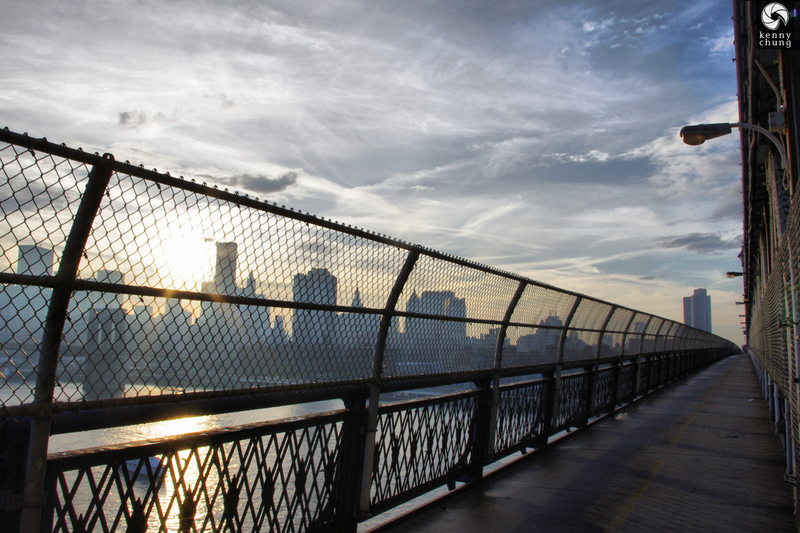 The Brooklyn Bridge peeking through the fence of the Manhattan Bridge walkway. 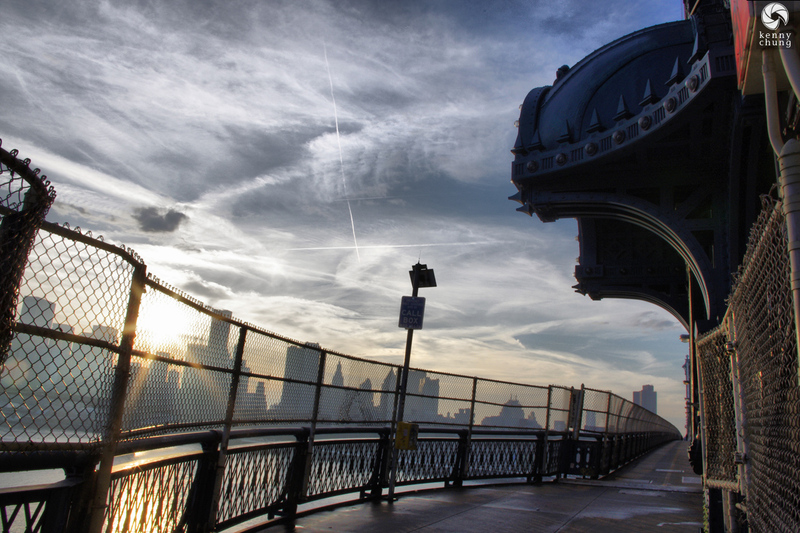 One of the overlook areas of the Manhattan Bridge Pedestrian Walkway. 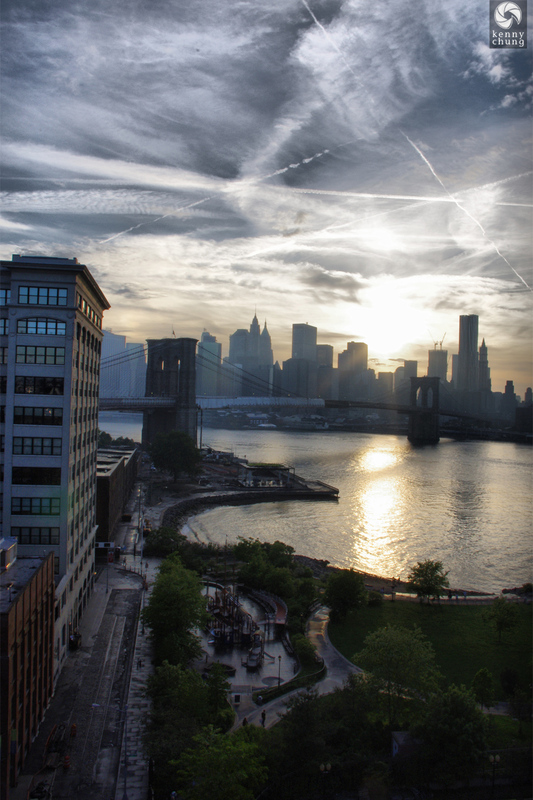 A view of the Brooklyn Bridge Park and the eponymous bridge. 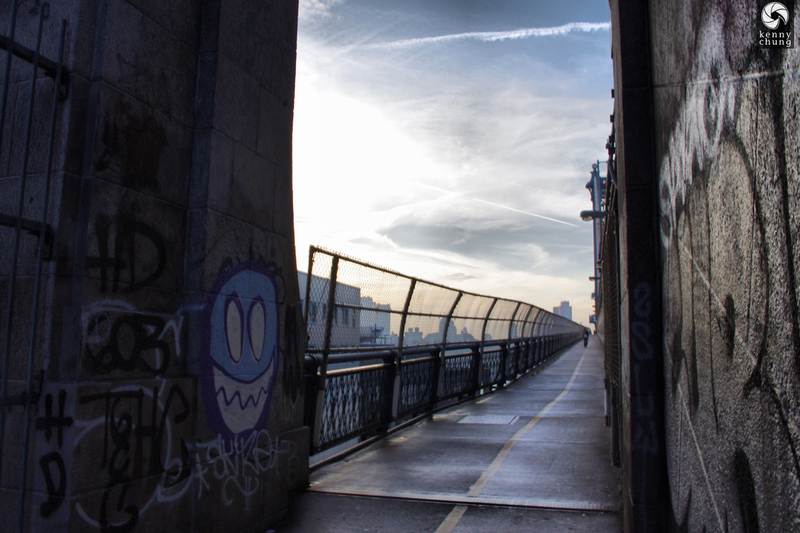 Graffiti on the Manhattan Bridge. 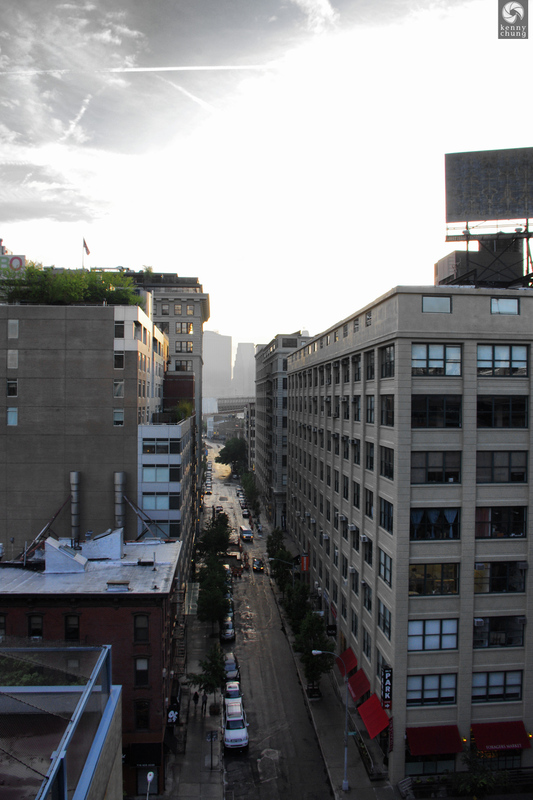 An alleyway in the neighborhood DUMBO (which stands for "Down Under the Manhattan Bridge Overpass"). I believe this is Adams Street. 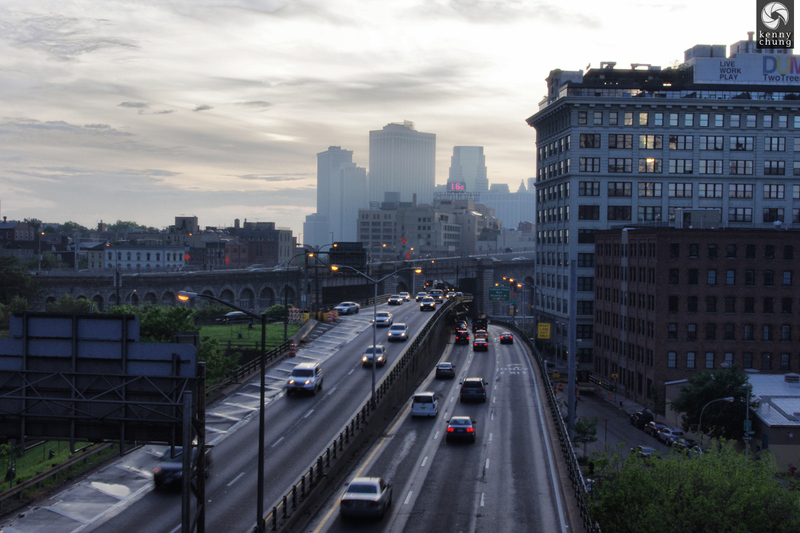 The Brooklyn Queens Expressway (BQE), which is the free way to get from Brooklyn to Queens. 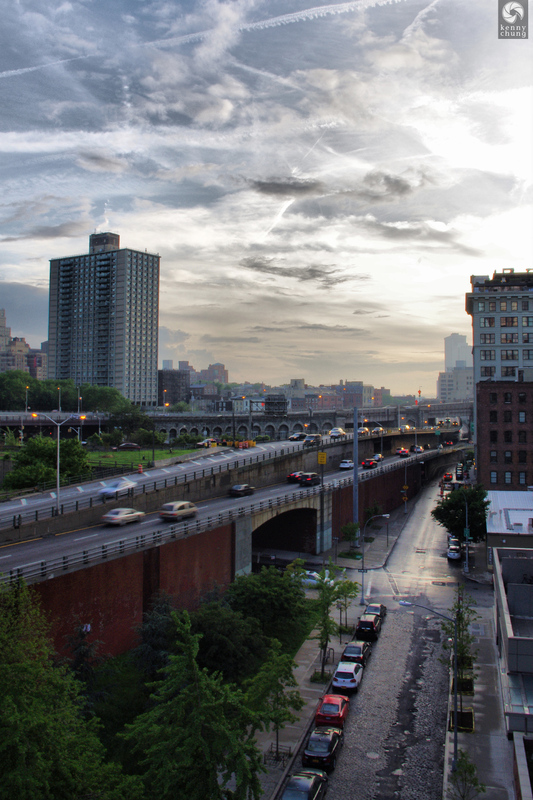 The BQE looking towards the Brooklyn side.